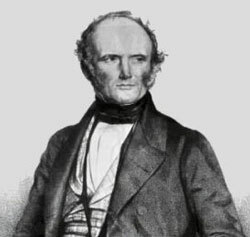 Despite widespread compromise with Lyell and Darwin by nineteenth-century theologians, some remained faithful, arguing against the new theories of uniformitarianism and evolution. Robert L. Dabney was as able a Presbyterian theologian as his better known contemporaries at Princeton University, and unlike them, remained staunchly opposed to secular natural history. Figure 1. Robert L. Dabney was born and lived most of his life in Virginia. He was a farmer, pastor, professor, author, and served as General ‘Stonewall’ Jackson’s adjutant during the Civil War. Many Christians have chronicled the sad decline of the Church in the face of Lyellian geology and Darwinian biology. Those thinkers who stood fast on Scripture were attacked by both secularists and compromising clerics. Theologians of the time were unable to stem the tide, often succumbing to the siren song of secular natural history or trading their approval for academic respectability. For example, Princeton Seminary, long the bastion of orthodox Presbyterianism, succumbed when their leading scholars, Benjamin B. Warfield (1851–1921) and Archibald A. Hodge (1823–1886), failed to see the worldview behind the “new science”. Compromise led to compromise, and in turn to the decline of Princeton, finally forcing J. Gresham Machen (1881–1937) to break away and form Westminster Seminary. It is a tragic plot that has been replayed more times than I Love Lucy. But there is always light in darkness, and though Hodge and Warfield remain respected theologians, Robert L. Dabney (1820–1898) was arguably the ablest Presbyterian theologian of the 19th century, despite faulty and inconsistent views on slavery. Dabney (figure 1) graduated from and taught at Union Theological Seminary in Richmond, Virginia. He took leave during the Civil War to become the adjutant for General “Stonewall” Jackson, whose wife was the cousin of Dabney’s wife. Before he died, Jackson called Dabney “the most efficient officer he knew”.1 After the war, Dabney wrote a famous biography of Jackson,2 and his lectures were published by his students as a systematic theology.3 Dabney moved to Austin, Texas in 1883, and founded Austin Theological Seminary, where he remained until his death. After the war, Dabney feared the spread of liberalism that had captured the northern Presbyterians (United Presbyterian Church in the United States of America). He stood firmly against that trend the rest of his life, credited by Johnson1 with preventing the reunion of the northern and southern Presbyterians as a means to preserve orthodoxy in the southern church (Presbyterian Church in the United States). One of the issues separating Dabney from many of his northern peers was his uncompromising opposition to the rising secularism in science, exhibited in both Darwinian biology and Lyellian geology. He was the leader of the faction in the southern church that kept compromise with either of the ‘new sciences’ at bay until the early 1900s, decades after the northern church had surrendered to secular science and accompanying theological liberalism. His arguments, as presented in the classroom in the 1860s and 70s, and published in his Systematic Theology, are still cogent and worth re-examining. His foresight was incredible, given the novelty of both subjects and that both were outside his discipline. In other words, despite early religious support for Darwin from naïve Christians, Dabney saw evolution’s true philosophical home was materialism. At root, evolution removes the distinction between spirit and matter, removing the possibility of the human soul, as we saw decades later in the works of men like Julian Huxley and Bertrand Russell. Natural selection adequate to explain diversity of life, past and present. Removing God as cause of life leaves material cause, therefore system will move to atheism. Natural selection is a random material process. ‘Selection’ implies choice which implies mind. Misleading metaphor. Progression of fossils through time demonstrates evolution. Evolution should produce myriads of transitional forms; none yet found. Selective breeding is a modern analogy of natural selection. Not natural, human directed. Also we observe tendency towards uniformity in natural settings, i.e. dogs to mutts. Man evolved from lower forms in an unbroken chain of evolution. Man’s mind and soul are distinct from all animals, therefore they did not evolve. Evolution explains observations of nature. Weak theory. Unverifiable. No amount of circumstantial evidence can overturn testimony of Scripture. No need of divine action; evolution is driven by chance. Proof of purpose in design is invalid. Teleological argument accepted by past scientists. Evolutionists assume no design; they do not prove it. Dabney then attacked the logic of Darwin’s argument from natural selection. 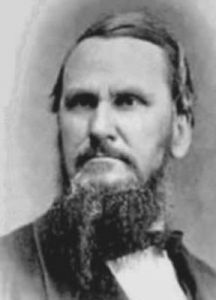 Dabney was a keen logician and pierced Darwin’s faulty logic. As he noted, the very term ‘selection’ refers to choices made by intelligent beings. Darwin failed scientifically too; “this is but giving us a metaphor in the place of induction”.7 Darwin’s errors were minimized by secularists for many decades. The failure of secular philosophers at that time to acknowledge them as directly as Dabney does remind us of Paul’s observation that fallen men not only participate in sin but give hearty approval to others that do the same things. In his debate with contemporary paleontologists, who followed Darwin in optimistically assuming that the missing links would turn up, Dabney remained dubious. In his debate with contemporary paleontologists, who followed Darwin in optimistically assuming that the missing links would turn up, Dabney remained dubious. He has been long vindicated; the fossil record remains ‘incomplete’ and the only ‘evolution’ is that of optimism transforming into pessimism among paleontologists. He also noted that greater selectivity in breeding led to a greater tendency of individual breeds to revert back to a natural homogeneity if re-mixed with a general population. Another problem was the inferred limits of selection changes based on observations of diminishing changes as breeding programs progressed, an observation that remains a formidable obstacle to evolutionary biology, and a major reason for the role of mutations in the neo-Darwinian synthesis of the 20th century. Dabney’s ability to see evolution as a wedge for the worldview of Naturalism was demonstrated again by a philosophical argument about the nature of man. Because it was philosophical, not scientific, he clearly recognized that Darwin had moved far outside the bounds of biology. His argument was updated and restated by Adler9 and by creationists.10 In short, Dabney argued for the qualitative distinction between man and all other creatures by virtue of the unique nature of the human mind. Adler9 would later construct a more elegant argument that the presence of conceptual thought, expressed by human language, exhibited a qualitative difference in kind between man and animal, rendering human evolution unlikely. Unfortunately Dabney underestimated that very degradation, thinking that the theory would never take hold because it was so insulting to man’s moral character. Unfortunately Dabney underestimated that very degradation, thinking that the theory would never take hold because it was so insulting to man’s moral character. Sadly, we have seen that his view of mankind, even influenced as it was by his Calvinistic view of depravity, still underestimated the depths of depravity in the coming century. Finally, he noted the fatal flaw of the theory. It was based on circumstantial evidence, which is inferior to the historical testimony of the Bible. It is a sad commentary on the state of the Church that such sound biblical and logical thinking is markedly absent in most contemporary theological understanding of the origins debate. Darwin brought a screeching end to the European fascination with natural theology that long predated Paley’s famous watch. The debate over purpose in nature is at least as old as Aristotle and was one of Aquinas’ famous proofs of God’s existence—the one Kant admitted to be the most powerful of the theistic proofs.14 Evolutionists have always been quick to use their theory to counter this famous ‘teleological argument’. But it is a futile attempt; the more we learn about nature, the clearer the evidence for purpose and design becomes, as creationists and the Intelligent Design advocates have repeatedly shown. This is a point that modern creationists have begun to make more vocally; that even-handed debate does not mean we begin by accepting the naturalistic presuppositions of our opponents. It is a point that bears frequent repetition. Dabney stands in marked contrast to the Princeton theologians in his insight into Lyellian natural history. Even Charles Hodge, who opposed Darwinism, accepted Lyell, and that curious position is still wildly popular with today’s theologians … nervous about the implications of Darwinism, but equally nervous about being classed with the ‘lunatic fringe’ of creationism. But Dabney saw the danger in the new geology and his cogent observations of its weaknesses are impressive for a theologian swimming against the tide of scientific experts. And they are all the more in their promptness—a gap of only three to four decades existed between Lyell’s Principles of Geology and Dabney’s Systematic Theology. Given that the latter was published by Dabney’s students some years after his lectures, Dabney’s prescience is all the more astounding. modern (gradual) rates of erosion, deltas, etc. demand long time. The caricature of the ‘ignorant theologian’ railing against the ‘clear facts’ of science finds no comfort here. the timing of the creation of the sun and moon presents insuperable problems for long days prior to the fourth day. 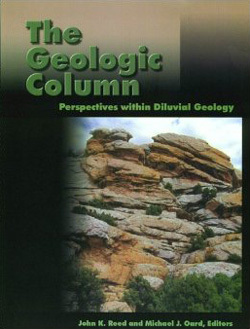 Geology is science; criticism by theologians is unwelcome. Geologic history is virtual cosmogony, necessary for theologians to address. Scientific proof of geology is more powerful than Bible. Burden of proof on geologists. If they wish to dismiss Bible, they need sure proof, which they do not have. Creator’s testimony outweighs all a posteriori arguments. Geologists make logical error inferring like causes from like effects. Rocks prove reality of deep time. No God = no first cause. This leads to infinite regress, which is atheistic. Fossil record proves rocks are old. Circular reasoning. Argue fossils are old because their strata are old; then use “old” fossils to prove strata’s age. He warned of the metaphysical nature of secular natural history, seeing that it was rooted in a particular worldview inconsistent with Christianity. Unfortunately, this insight was not understood by most of his theological peers, including the Princeton theologians. As we have learned in the subsequent years, scientific dogmatism (and hypocrisy) has proven every bit as common as Dabney feared. It is a constant, though illogical, argument used against creationists. Dabney urged his students to a fearless and temperate skepticism, noting that God’s word has met many intellectual challenges through the centuries and has always prevailed. He warned that compromise would only lead to new and weaker compromises as new scientific theories came and went. His reason? Once again, Dabney displayed his logical acumen. Nothing has changed. In every aspect of secular natural history, from the geologic column to plate tectonics, geologists continue to take the ‘may be’ and transmute it into the ‘must be’. His insight also carries a warning for creationists to avoid doing the same thing. For example, many see the continental ‘fit’ across the Atlantic as an indication that the continents must have been joined, when logically it only suggests that they might have been joined. After presenting the logical basis for his claim, Dabney referred again to the analogy of the courtroom to show that circumstantial evidence must bow before direct credible testimony, questioning the right of geologists to impugn God’s credibility. Finally, Dabney noted the circular reasoning inherent in secular natural history. Secular natural history has been met with numerous objections from both secular and Christian thinkers. Most of this we associate with the rise of creationism and the Intelligent Design School in recent decades. Yet, the basic truths of Scripture and logic have been evident all along. We regret the inability of the Church to advance them during much of the 19th and 20th centuries, and at the same time, we see in Robert L. Dabney the truth that God keeps a group of people, even if only a few, that do not bend the knee to Baal. Johnson, T.C., Life and Letters of Robert Lewis Dabney, The Presbyterian Committee of Publication, Richmond, VA, p. 272, 1903; republished in 1980 by Banner of Truth Trust, Carlisle, PA. Return to text. Dabney, R.L., Life and Campaigns of Lieut.-Gen. Thomas J. Jackson, Blelock and Co., Richmond, VA, 1866. Return to text. Dabney, R.L., Systematic Theology, 2nd ed., Presbyterian Publishing Co. of St. Louis, St. Louis, MO, 1878; reprinted 1996. Return to text. Dabney, ref. 3, pp. 37–38. Return to text. Dabney, ref. 3, p. 26. Return to text. Dabney, ref. 3, p. 27. Return to text. Dabney, ref. 3, p. 28. Return to text. Dabney, ref. 3, p. 29. Return to text. Adler, M.J., The Difference of Man and the Difference it Makes, Holt Rinehart Winston, New York, 1967; revised and reprinted 1993 by Fordham University Press. Return to text. e.g. Harrub, B. and Thompson, B., Mind, materialism, and consciousness, Creation Research Society Quarterly 41(1):46–59, 2004. Return to text. Dabney, ref. 3, p. 31. Return to text. Dabney, ref. 3, p. 32. Return to text. Dabney, ref. 3, p. 33. Return to text. Sproul, R.C., Gertsner, J. and Lindley, A., Classical Apologetics: A Rational Defense of the Christian Faith and a Critique of Presuppositional Apologetics, Academie Books, Grand Rapids, MI, 1984. Return to text. Dabney, ref. 3, p. 35. Return to text. Dabney, ref. 3, p. 252–253. Return to text. Dabney, ref. 3, p. 256. Return to text. Dabney, ref. 3, p. 258. Return to text. Dabney, ref. 3, p. 259, emphasis added. Return to text. Dabney, ref. 3, p. 261–262. Return to text. 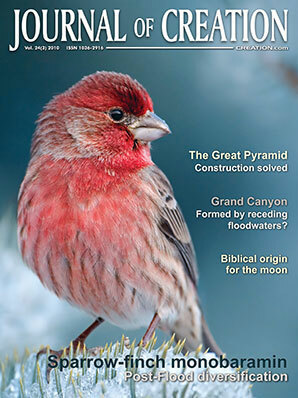 Reed, J.K., Natural History in the Christian Worldview, Creation Research Society Books, Chino Valley, AZ, 2001. Return to text. Dabney, ref. 3, p. 262. Return to text.